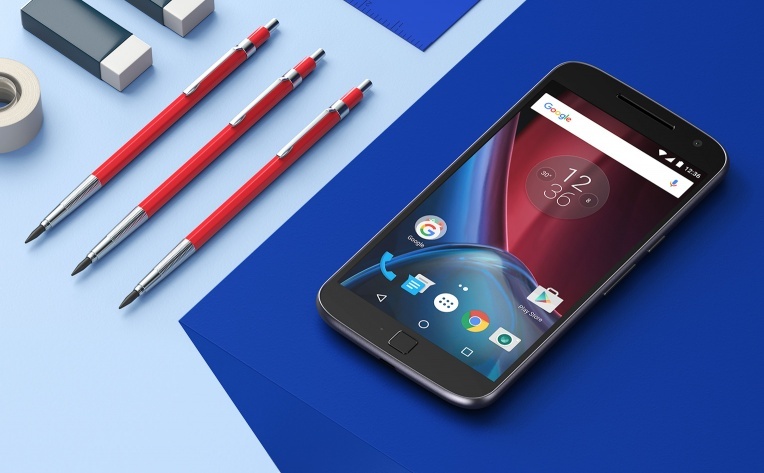 The world leading and renowned Motorola Company in the manufacturing of Smartphones and communication equipments has introduced a new Smartphone Moto G4 Plus, energized with the latest features and new aw-inspiring sleek body design and bright colors that seems bonnie to everyone. The Moto G4 Plus 4th Generation Smartphone comes forth with the thin and sleek body design. The G4 Smartphone consists of a dimension of 153 mm in height, 76.6 mm in width, 7.9 mm to 9.8 mm in depth and weighs only 155 g, The Smartphone has a stunning 5.5-inch 1080 pixels Full High-Definition display with a resolution of 1920 x 1080 and 401 ppi, the screen protected with the Water repellent nano-coating so you can dive in the water with no worries. The Motorola Moto G4 Plus has equipped with a 16 megapixel high-end rear camera with color balancing dual LED flash which offers 4 x digital zoom and features auto HDR, Panorama, Drag to focus & exposure, and makes High-Definition 1080 pixels videos at 30 fps with a slow motion option. A 5 megapixel front facing camera with display flash that allows you to take sharp selfies with a wide angle that fits everybody in a single selfies. The Moto G4 Plus 2016 has powered with the most advanced and powerful 1.5 GHz Qualcomm Snapdragon 617 Octa-Core processor with 550 MHz Adreno 405 GPU and a latest operating system of Android 6.0.1 Marshmallow which allow you to swipe between apps in a blink of an eye and High-Definition video streaming. The Moto G4 Plus comes along with the storage options of 16 GB and 64 GB internal memory and an external memory support up to 128 GB of MicroSD Card and lightning fast 2 GB and 4 GB of RAM. It progressed with the 3000 mAh, all-day life, powerful and effective battery featured with TurboPower which charges 6 hours battery in just 15 minutes, the Moto G4 Plus Smartphone comes with superb connectivity options including Bluetooth version 4.2 LE, Wi-Fi 802.11 a/b/g/n (2.4 GHz + 5 GHz, Micro USB, 3.5 mm headset jack, Front-ported loud speaker and 2 Mics, the Smartphone emerged in two basic colors Black and White.